PAD treatment is crucial for patients suffering from Peripheral Arterial Disease (PAD), also known as Peripheral Vascular Disease (PVD), because it helps to prevent its dangerous consequences, such as chronic pain in the legs, gangrene, limb loss, and possibly heart attack and stroke. What is Peripheral Arterial Disease (PAD) or Peripheral Vascular Disease (PVD)? Peripheral arterial disease occurs when the arteries that carry blood from the heart to your arms and legs become narrow or blocked, limiting or stopping the blood flow. Peripheral arteries are responsible for delivering blood that contains oxygen, glucose and other essential nutrients to your arms and legs. These arteries are normally smooth and unobstructed on the inside. However, as you age, and if you consume unhealthy foods, smoke, suffer from diabetes or high blood pressure, plaque starts to build up on the inside of your artery walls. Plaque is a sticky substance made up of cholesterol, calcium and fibrous tissue. As more and more of this plaque accumulates inside your arteries, the arteries become narrow and begin to stiffen causing them to harden. This hardening of the arteries, called Atherosclerosis, is one of the most serious and dangerous diseases of the arteries. 1) A piece of the plaque could break off of the plaque deposit and travel through the bloodstream. This particle can then get lodged in a smaller artery in the brain, block that artery, stopping the blood flow to the brain and causing a a stroke. 2) A blood clot could form within the blocked artery in the leg. If the arterial blood clot travels through the blood stream it could also cause a stroke or a pulmonary embolism, which are devastating, life-threatening conditions. The other problem that arises if you have arteries in legs blocked is that blood has a more difficult time traveling to the feet and the circulation is compromised. This means that the lower legs and feet will not be getting enough blood supply and blood circulation, resulting in painful, achy legs while walking, pain in the feet, infections or sores that don’t heal in the toes or feet. If this condition continues without treatment for blocked arteries, the end result could be development of leg ulcers, gangrene and even amputation of the toe, foot or leg. It is important to note that many people who have peripheral artery disease have mild symptoms, or no symptoms at all. So, what are the symptoms of peripheral vascular disease to watch out for? The most common symptom is something called Intermittent Claudication, which is muscle pain or cramping in your arms or legs while walking that goes away after a few minutes of stopping. Although the pain or cramp is most commonly felt in the calf, it could also be felt in the hip or thigh. And the intensity of the pain can vary from mild to severe. The other symptoms of blocked arteries in legs to look for include leg numbness or weakness, a feeling of coldness in the lower leg or foot, a change in color of the leg, sores on the toes, feet or leg that won’t heal, weak pulse in your legs or feet and pain in the legs when lying down or at rest. If you believe that you are at high risk and if you have been experiencing any of the arterial symptoms listed above, then you should consult with a peripheral vascular surgeon as soon as possible because PAD can put your life at risk. At The Vein and Vascular Institute of Spring Hill, we are passionate about treating patients who suffer from arterial disease. One of our missions is to do everything possible to help our patients avoid limb amputation caused by PAD. We have the latest technological equipment available in the vascular industry to diagnose and treat arterial disease. Using minimally invasive procedures that do not require overnight hospital stays, we provide PAD treatment such as Angioplasty, Stenting, and Atherectomy. Angioplasty helps restore blood flow through a narrowed or blocked artery. During this procedure a thin tube (catheter) with a balloon at the tip is inserted into the blocked artery. Then, the balloon is inflated such that the plaque is pushed outward against the artery wall, widening the artery and restoring blood flow. This is a very common and effective treatment for blocked arteries. Stenting involves placing a small mesh tube (stent) in the artery during the Angioplasty. The stent remains in the artery to keep the artery open and to prevent it from getting blocked again. Atherectomy is a treatment that removes the plaque buildup from inside the artery. Using a catheter, a small cutting or grinding device or laser filament is used to cut or shave away the accumulated plaque from inside the artery. The pieces are either removed with the catheter or allowed to be washed away through the bloodstream, if the pieces are small enough. If you feel that you are at risk of having PAD or if you are already feeling the signs of a blocked artery then a vascular consultation with one of our vascular surgeons is your first step in discovering any arterial blockage. Having regular vascular consultations with a vascular surgeon is also a good idea if you are over the age of 70, if you are over the age of 50 and have a history of diabetes or smoking, and if you are under the age of 50 but have diabetes as well as other PAD risk factors such as obesity or high blood pressure. 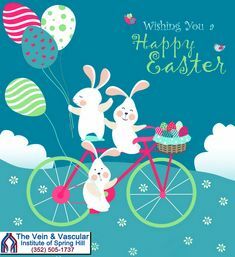 At The Vein and Vascular Institute of Spring Hill, our Board Certified Vascular Surgeons who have completed extensive education and training specifically in vascular surgery are experts in treating all arterial and vascular diseases. They are also passionate advocates of limb salvage (preventing toe, foot and leg amputation) in relation to peripheral vascular disease. Our vein specialists will see patients for a vascular consultation and encourage you to make an appointment to assess your vascular health. If you live in the Spring Hill, Florida area and you have been experiencing heavy, achy legs, cramps and pain while walking, leg numbness, coldness in the feet or sores on your legs or feet that don’t heal do not hesitate to give us a call to make an appointment for a consultation. Give us a call today at (352) 505-1737, because early treatment with the right vascular doctors could save your limbs and your life as well.